This article is the third and final article in a series of special edition longreads focusing on rural-urban inequalities in Ukraine. It is the outcome of a collaboration between TNI and the Commons: Journal of Social Criticism – an independent, internationally minded and progressive online and print journal from Ukraine, publishing articles, interviews, reports, blogs and opinion pieces on current affairs in the Ukrainian, Russian and English languages. For nearly thirty years, the question of land reform has occupied Ukrainians. The current stalemate on land policy seems unbreakable. This article considers how the ‘land question’ has developed over the past three decades, where we stand today, and what we can expect in the future. For seven decades, from 1922 to 1990, Ukraine was part of the world’s largest country, the Soviet Union. Immediately upon assuming power in 1917, the Bolsheviks issued a Decree on Land. This ordered that land should be socialised to allow for widespread use by the peasantry and rural working people. Expropriation of land from landlords took place without any compensation. The Decree further prohibited any type of land market transaction. This decision brought the Bolsheviks significant popular support in Ukraine, as land issues have long been of critical concern in Ukrainian society. This support allowed the state to further consolidate decision-making powers over land allocation and use. New land and farming structures emerged including (since 1930) state farms (Sovkhoz) – entirely state-owned enterprises – and collective farms (kolkhoz) – nominally voluntary associations of citizens with collective property, including land. In 1991, following the collapse of the Soviet Union, Ukraine gained national independence. This marked the beginning of the transition towards a market economy carried out during the 1990s through a series of neoliberal economic reforms. One of the principal reforms was the strengthening of rules and regulations around private property. Land became a key target for reform since the country’s land structure, formed during Soviet times, allowed only for forms of state property. A pro-market land reform programme was launched with the enactment of the Land Code in 1992. Its approval by the Verkhovna Rada (the Ukrainian parliament) enabled the partition and privatization of land within agro-based enterprises. The initial stage of the reform invovled the privatisation of formerly state-owned farms (sovgosp). A second step included transferring land to agricultural enterprises, where it was collectively owned. Land was delivered on the condition that it might be divided at the demand of the enterprise shareholders and, if necessary, allocated as private property. This led to the emergence of so-called Collective Agricultural Enterprises (CAEs) which became key actors in the privatisation process. Land transferred to the collective ownership of non-state agricultural enterprises was to be shared, with members of the enterprises obtainaining state certificates guaranteeing their right to a particular plot of land. Certificate holders acquired the right to withdraw from the enterprise and receive their private land shares. In some parts of the country, for example, in Sumy and Zhytomyr regions, there was prior experience of such proof-of-ownership documents. By the end of 1999, the initial stage of Ukraine’s land reform was largely complete. Over 6 million rural people had received certificates confirming their right to obtain private land shares. A new stage of the land reform began at the end of 1999 with the openening up of the previously established CAEs. While the CAEs were, in essence, a form of agrarian entrepreneurship, liberal minded reformers believed them to be still too similar to former Communist structures, hindering the development of a market economy. International financial institutions such as the IMF actively monitored privatization processes during this time and advised the Ukrainian government. As a result, further measures were introduced and privatization was accelerated. Shareholders started receiving their land shares from the reformed CAEs and state certificates on land ownership were legally formalised. Parcellation - the division of land into discrete private land plots - was carried out until the end of the 2000s. Registration of land shares in the State Land Cadastre is still ongoing at the time of writing. the development of lease relations. Critically, this Land Code also introduced a number of restrictions on the operation of the land market. One such restriction was a total moratorium on the sale of agricultural land. The moratorium includes a ban on the sale of land with a designated agricultural use. Such land cannot be sold through the transfer of land shares allocated to citizens during the land reform process. It is forbidden to sell land; to change its intended purpose (i.e. from an agricultural to a non-agricultural use); to transfer land to the assets of any business enterprise (for example as collateral for a loan); or to transfer it as a pledge. The only convenient and legal options available for transferring land include lease agreements (for legal and natural persons) and certain forms of gifts and inheritance (for natural persons). Government representatives claimed that the moratorium was established as an interim measure, with follow up legislation aimed at developing a land market with "adequate" prices to be adopted at a later date. Amongst certain political and societal actors, fears existed that full-scale land privatisation would open the door for the accumulation of land by large private interests, to the detriment of the majority of Ukraine’s farming and rural population. For example, an MP from the People's Movement of Ukraine, Valeriy Asadchev, argued against full privatisation, commenting that, “We cannot allow a dozen latifundists to be formed in Ukraine, and for the entire nation to become farm servants”. It was agreed that the moratorium would be repealed on January 1, 2005 giving everyone time to prepare for the launch of the land market. However, as of January 2019, the moratorium still stands, having been prolonged ten times. The moratorium has been extended for a number of different reasons or pretexts. Before it could be repealed a state land cadastre needed to be established then digitized, a state land bank needed to be created, and legislation on land transactions and the transfer or land rights needed to be drafted, approved, and passed into law. These processes have taken longer than expected, and, as of the time of writing, no new draft law has yet been presented. Based on information from the State Service of Ukraine for Geodesy (Surveying), Cartography, and Cadastre (StateGeoCadastre) (2017), 41 million hectares of agricultural land are subject to a moratorium, of which 27.7 million hectares (68%) consist of citizens’ private plots of land. There are 10.5 million hectares of state and communal land that are subject to the moratorium. Even though the moratorium was intended to prevent land concentration, the reality has turned out quite different. In fact, although the formal sale of land has been prohibited, the period since the introduction of the moratorium has seen one of the most dramatic increases in the concentration of effective control of agricultural land in the country’s history. How has this happened? After the moratorium was introduced, land lease has become the main (although not the only) way to control land in Ukraine. Immediately after the privatization of land, a large rental market for land was formed. Due to the huge number of plots available, the rental cost was very cheap. Millions of owners were ready to rent their land for trifling sums as a lack of capital, combined with the spatial inaccessibility of the plots themselves - which were often located 5-10 km from the owners’ homes - prevented many farmers from cultivating their plots of land themselves. In 2017, the average annual cost of renting 1 hectare of agricultural land in Ukraine was about €40, compared to €160 in Hungary, €240 in Bulgaria, and €847 in the Netherlands. As a result, companies have found legal means to circumvent the prohibition on land sales. Gradually, hundreds of small plots (4 hectares on average) have concentrated under their control through lease agreements. The state is also actively involved in leasing agricultural land to agricultural companies through public auctions. Emphyteusis constructs did not become immediately popular among investors but as the moratorium was prolonged, companies began offering peasants and other landowners long-term lease contracts for a maximum term of 49 years (with even an opportunity to negotiate indefinite contracts). In this way, emphyteusis became a sort of agroholdings’ loophole or work-around for the moratorium. Between the third quarter of 2015 and the second quarter of 2017, about 28,000 such contracts were concluded, covering roughly 80,000 hectares of land. Does the moratorium help or hurt the rural population? The number of emphyteusis contracts is increasing and the Ukrainian NGO EcoAction considers it necessary to raise awareness about the advantages, disadvantages, and risks of such lease agreements amongst Ukraine’s rural communities. Some of the risks are inherent in the nature of such an exceptional contract type. For instance, emphyteusis contracts grant “tenants” the right to resell their right to use the land without the owners’ consent, can create issues for inheritance, and can only be annulled under limited circumstances. Beyond these procedural points, there are other risks related to the future of farming livelihoods and the development of healthy agrarian structures in Ukraine, particularly in the context of highly unequal power relations. As land leases have become the main way of conducting business in the countryside, lease agreements are subject to significant competitive pressures, for example through agroholdings (large-scale farming enterprises with at least ten thousand hectares of land under management) who compete with small independent farmers on the rental market. Agroholdings can afford higher rental rates which, in a growing rental market with rising prices, gives them significant advantage. As a result, farmers may lose part or all of their land, forcing them to give up farming and seek alternative employment elsewhere. Corporate competition can also be fierce, as larger firms vie to acquire a weaker company or take a part of its land. Often agroholdings and other powerful investors are able to take advantage of close political connections and easier access to financing to gain access to and control over land. They have secured the support of cheap loans from international financial institutions such as the European Bank for Reconstruction and Development (EBRD), the European Investment Bank (EIB), the World Bank, and the Ukrainian government. Thanks to approvals from the Antimonopoly Committee of Ukraine, companies with stable financial support have started to buy up agricultural enterprises with leased land and other assets. A larger area of controlled land has become a symbol of success in the agrarian sector – often based on the assertion that enterprises with tens of thousands of hectares of land under their control are more profitable than small enterprises, and that (outside) investors prefer large-scale companies. These discussions often overlook how powerful actors can tip the balance in their favour. It is difficult, for example, not to notice the impact of agroholdings on Ukraine's national agrarian policy. They successfully lobby for their interests through "their own" MPs in the Verkhovna Rada and through committees that make the necessary amendments to the budget (for example on VAT refunds to exporters of agricultural products and on subsidies to chicken companies). At the local level, elected community leaders are often former agroholding employees, or actively support them as "the only local investor". Since the introduction of the moratorium, dozens of agroholdings and other agricultural companies with large land banks (of dozens and hundreds of thousands of leased hectares) and a strong influence on politics have gradually appeared. This raises concerns about the prospects for democratic land control, especially within the context of the ongoing global land rush. Following on from the 2008-2009 global financial crisis, land became a profitable investment as investors sought to diversify their portfolios. In this ‘global land rush’, we have witnessed a growing appropriation of land by private entities including pension and insurance funds, banks, private universities, and agricultural companies, as well as by state-owned enterprises. Ukraine has been no exception and starting in 2007-2008, a number of companies have concentrated hundreds of thousands of hectares of land all over the country. In gaining control over considerable amounts of land, agricultural companies also gain control over local people, and sometimes even over political decision making processes. This is evidenced by the research and investigations of civil society and research organizations including in Romania, Bulgaria, and by the Transnational Institute. Various actors are staking out different positions with respect to the lifting or prolongation of the moratorium, while some parties avoid expressing a particular opinion. For example, some agroholdings avoid being clear and direct in their advocacy, presumably in order to avoid frightening the tens of thousands of smallholders from whom they lease land who may worry that the agroholdings would then come out to sweepingly buy up their lands if the moratorium were lifted. The authorities (current government and regulators). The current authorities aim to be diplomatic with all of the above-mentioned parties. In fact, the authorities seem to stand in practice with those agroholdings who want to slow down the lifting of the moratorium, while nonetheless depending on international financial institutions. The most recent strong public statement by a significant stakeholders’ group on the moratorium was the Memorandum issued in 2018 between a number of NGOs, business associations, and investment funds. They argue that the moratorium is an impediment to the country's agricultural investments and a reason for a significant rural decline – although the latest deal between SALIC (Saudi Agricultural and Livestock Investment Company) and the agroholding Mriya, amongst others, shows that investment is in fact taking place. Strikingly, for 18 years, smallholders and other individual land owners have not united under the umbrella of a similar memorandum. Why? After talking with dozens of people in Ivano-Frankivsk region, Vinnytsia region, and Cherkasy region, the author has made the surprising discovery that the locals are not even aware of the moratorium on the sale of agricultural land. The community members interviewed were convinced that sales are in fact taking place, through emphyteusis or gift contracts. While the future of the moratorium remains contested, it is likely that it will be repealed in the future. It has not fulfilled its role in preventing land concentration as initially expected and it may have even enabled further concentration as companies do not need to officially own land to gain control over it The European Court of Human Rights has also found that the moratorium violates private property rights. Lifting the moratorium in the near future might lead to a new redistribution of resources or, conversely, to strengthening the existing alignment of forces of Ukraine’s agribusiness. For this reason, one should think carefully about future land regulations, especially for protecting peasants’ rights and preventing further land concentration. The necessary law on agricultural land sales should become a versatile tool for regulating land sales and harmonizing land relations. It must ensure democratic access to land, especially for marginalized groups, like today’s peasants and smallholder farmers. As a point of departure, international best practices in land tenure such as the Voluntary Guidelines on the Responsible Governance of Tenure of Land, Fisheries and Forests in the Context of National Food Security (hereinafter VGGT) should be taken into consideration. The Voluntary Guidelines on the Responsible Governance of Tenure of Land, Fisheries and Forests (VGGT). The VGGT were adopted during a special session of the UN Committee on World Food Security (CFS) in 2012 following a three year consultative process that included the active participation of social movements and civil society organisations. They are the first international instrument to apply a human rights based approach to the governance of land, fisheries and forests. As such, they can serve as an important tool for shaping land relations in Ukraine. Paragraph 1.1., for example, emphasizes the importance of developing land policy for the realization and protection of the rights of vulnerable and marginalized people, rural development, environmental protection, and sustainable economic and social development. In this vein, other paragraphs emphasize respect and protection of ‘legitimate tenure rights’ (4.4. ); responsible agricultural investments, especially for smallholders (12.3); taking effective measures to prevent undesirable impacts on local communities arising from land speculation and land concentration (11.2); and the development of inclusive and participatory monitoring mechanisms (26.2). Currently, we cannot say how effectively Ukraine’s Ministry of Agrarian Policy uses the VGGT during the drafting of a bill on the land market in order to prevent human rights violations, land speculation, etc. Previous experience of implementing the VGGT in some Ukrainian legislative acts reflects the fact that they are underemphasized. 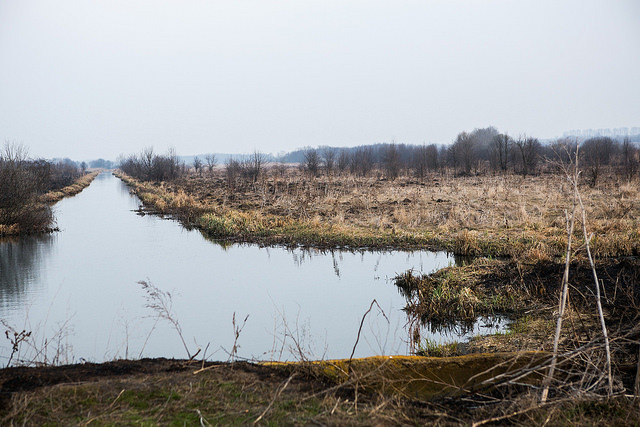 As Ukraine moves forward to consider its future land policy, the debate should not simply be restricted to the lifting or extension of the moratorium. It would be advisable for the government, in drafting the new policy, to examine the conditions which led to the concentration of control under the current regime. In particular, the land policy should take steps to address the constraints which have kept people from cultivating their own land, the pressures which them to sell long-term leases on their land, and what strategies and policies could be put in place to allow people to develop sustainable livelihoods on their land, from seed funding for young farmers, to infrastructural development to allow small-scale producers better access to markets. Agricultural land use must prioritise food production above other forms of land use, such as construction of (bio)energy complexes. Finally, given the devastating impact on the environment of the model and scale of production employed by many agroholdings - including the use of chemical fertilizers and pesticides, monocultures GMOs and heavy machinery which have led to soil degradation, loss of fertility, erosion, and a reduction in biodiversity - land regulations must be complemented by environmental laws that protect the environment from irresponsible agricultural production. The form of cancellation of the moratorium and any future land policy depends on the political will of the future government, formed as a result of the new electoral cycle in 2019. It will also depend on the degree of public involvement in the drafting of a land market bill. We have witnessed the ineffectiveness of the ban on land sales. That is why the approach to regulating land transactions in the future must be more responsible. Land is a vital resource and part of the ecosystem which seriously affects the development of society, especially in rural areas where people are still inextricably linked to the land and its multiple values. Mykhailo Amosov holds an MSc in Geography from the Taras Shevchenko National University of Kyiv. He is an expert on ecology and agriculture at the Centre for Environmental Initiatives "Ecoaction". Editing by Sylvia Kay and Katie Sandwell. The photos for the article were kindly shared by Majda Slamova.